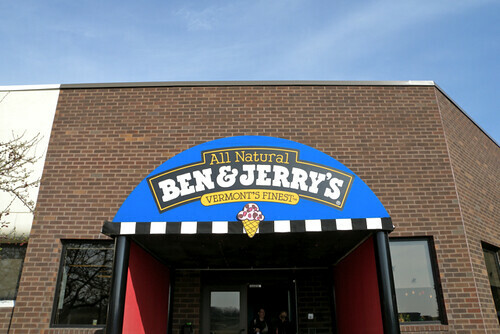 A few weeks ago I was flown out to Burlington, Vermont to experience how a globally-recognized all natural ice cream company runs their business. 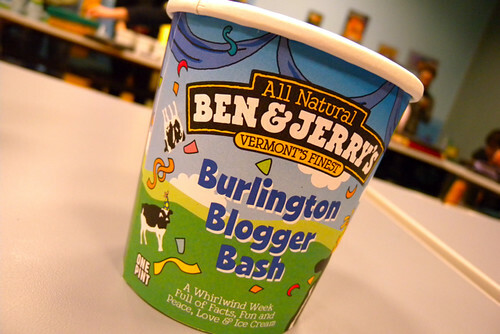 It was called the Ben & Jerry’s “blogger bash” or “bloggerpalooza” as I joined about a dozen others from online publications around North America in this adventure. 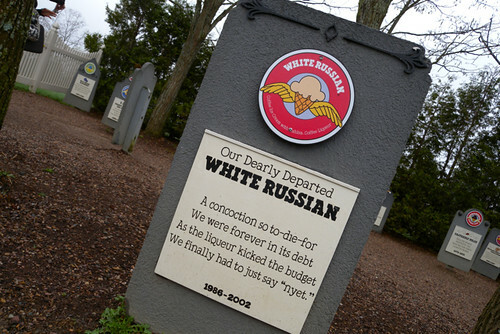 We started off in Waterbury at their plant where you can get a tour, learn about the company’s history, enjoy a scoop or two and visit the “flavour graveyard” where old flavours have been lovingly retired. 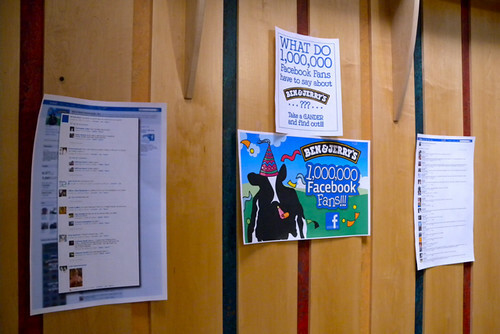 After the tour we were transported over to Ben & Jerry’s Central, their head office in Burlington. Turning down the boulevard past tech companies in an industrial park, it looked like any other bricked-up corporate office from the outside. From the inside, it was something else entirely. Imagine coming to work each day and being welcomed by a cow statue, a freezer full of mini pints, a candy-coloured Wurlitzer organ, a slide, and lush green vines growing from lattice work where a cubicle wall would normally be. 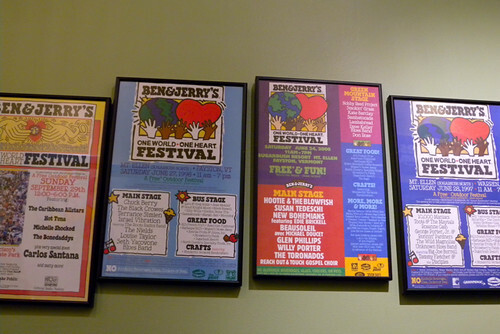 This is Ben & Jerry’s headquarters. 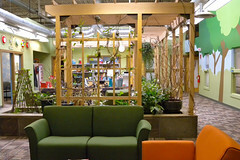 I thought fun offices like this died with the dotcom bust but bright colours, but there were themed conference rooms, a nap room, an amazing fitness room (called the “deception area”) and beaming smiles on employees faces. 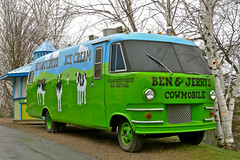 Back in 1978 Ben Cohen and Jerry Greenfield started their ice cream business out of an old gas station in Burlington. 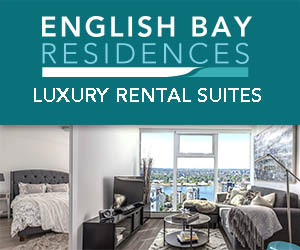 Euphoric flavours with big chunks soon became their signature and from the beginning they were socially and environmentally conscious. 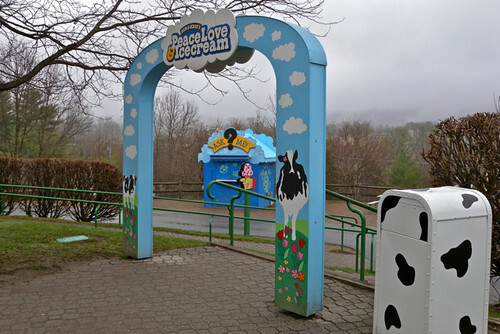 Their ice cream is made from cream coming from about 19,000 Vermont cows all raised free of growth hormones on local farms. 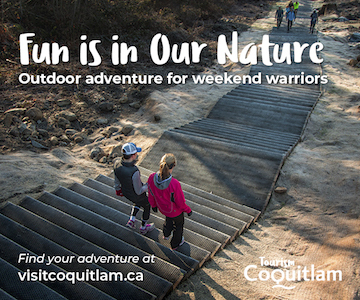 Their ingredients are Fair Trade certified (such as their cocoa, macadamia nuts, coffee etc. 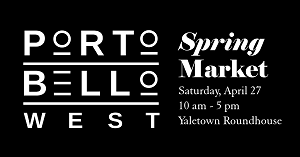 ), their brownies are made through an amazing program in Yonkers, and any leftover “ice cream waste” gets carted over to a local farm for compost. You can read “All Natural” on their labels but it was amazing to see them practice what they preach in every way — right down to the biodegradable potato starch fork I used to each my lunch in their Cookie Dough Conference Room. 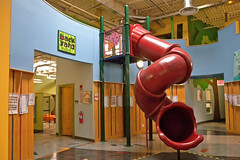 This was also the home base for the Ben & Jerry’s Foundation, an employee-led initiative that administers six grant programs in Vermont. The company’s overall 3-part mission statement is just as impressive as it includes Product Mission, Social Mission and Economic Mission. This is posted on signs all over the office as well as on their website under Activism. 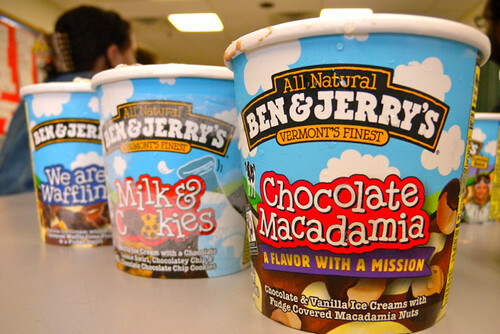 There are also over 10 Ben & Jerry’s “working flavours” meaning royalties go to NGO’s that provide aligned benefits. 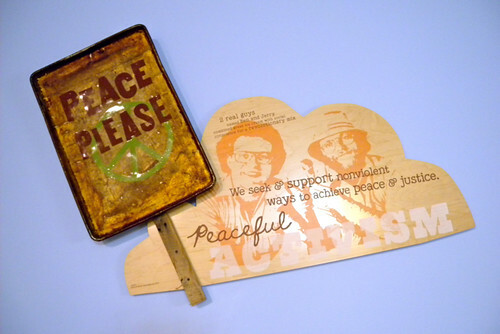 These include Imagine Whirled Peace (partnering with Peace One Day and The John Lennon Estate), Willie Nelsonâ€™s Country Peach Cobbler (supporting Farm Aid), Phish Food (for the Waterwheel Foundationâ€™s Lake Champlain Initiative), and Dave Matthews Bandâ€™s Magic Brownies (to Bama Works) just to name a few. 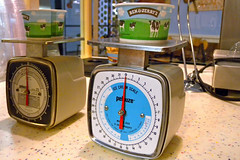 Continuing our whirlwind day, we were then put to work at Scoop U – the training grounds for Ben & Jerry’s Scoop Shop franchisees. 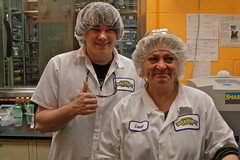 Here they learn about the product, ingredients, corporate values, and how to pull that perfect scoop of ice cream. 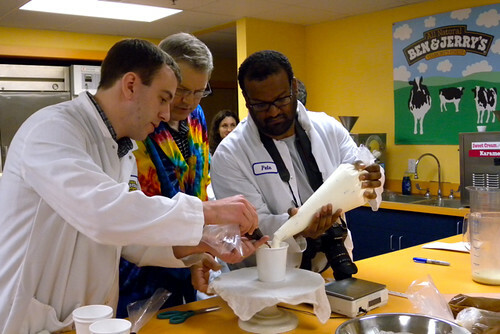 From there we headed into the Research and Development kitchen with some flavour gurus (donning tie-dyed lab coats) to create our own pints of ice cream. This was followed by meeting with the marketing team to find out how they name their flavours. It was interesting to not only meet the people who invented Chubby Hubby or Chocolate Chip Cookie Dough but to find out how Dolce Delish, Pistachio Pistachio and Karamel Sutra got their names. 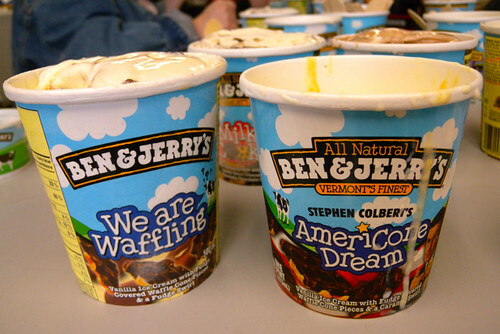 In 2007 Ben & Jerry’s immortalized Stephen Colbert with his own flavour of ice cream, Americone Dream. 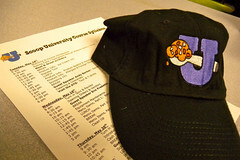 It consists of vanilla ice cream with fudge covered waffle cone pieces and a caramel swirl. Until now, it has only been available in the USA but it will soon be released in Canada as We Are Waffling and will be the centre of a nation-wide search for a new (more Canuck-centric) flavour name. 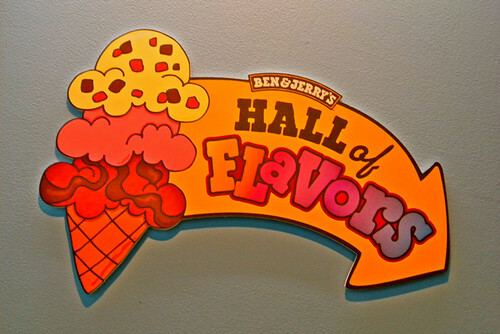 Starting Monday April 19th you can name your own flavour name for We Are Waffling via the Ben & Jerry’s Canada Facebook Fan Page. 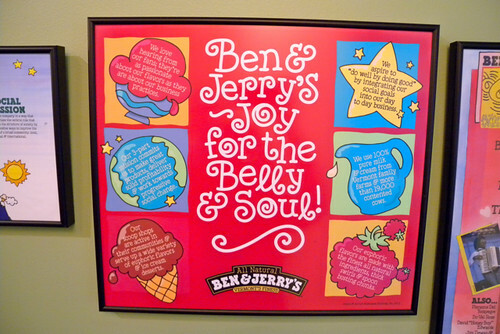 The top suggestions will be selected by Ben & Jerry’s staff and will then go to a public vote online to pick the winner between July 2nd and July 16th. 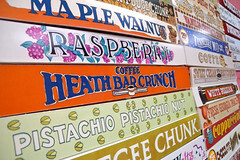 The newly renamed flavour will appear in stores come fall 2010. You can view the rest of my photos from the trip in this Flickr set. 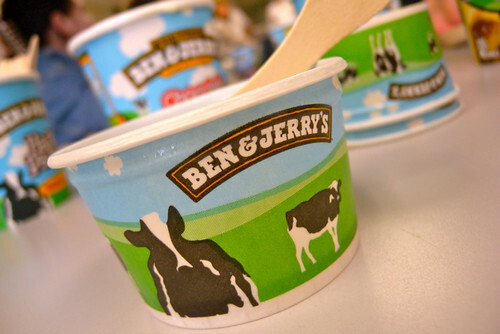 My trip was covered by Ben & Jerry's however I was not paid or obligated to write this post. I did consume a hefty amount of ice cream. 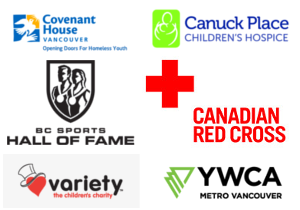 Thanks for view into one of the most unusual but fantastic organizations. 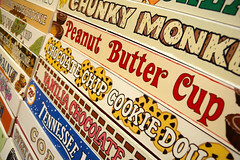 They don’t only make great ice cream but stand up for what they believe. 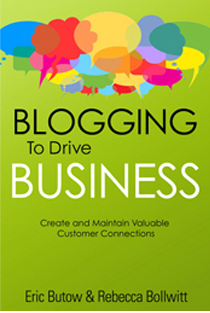 Thank you for the insight.